New Mexico's premiere hemp festival supporting and celebrating the economic impact of medical cannabis and industrial hemp. 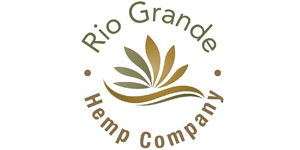 New Mexico Hemp Fiesta seeks to provide an environment for patients, local leaders, industry members and curious individuals to learn about one of New Mexico's fastest growing industries. The festival will feature presentations from industry leaders, as well as exhibitors and vendors showcasing products and services. These vendors are licensed producers, dispensaries, nutrient companies, medical clinics, health and wellness providers and more. Becoming an exhibitor at Weekly Alibi cannabis events is a great way to showcase your company's products or services. Many companies find they have great success in cultivating new relationships by putting their brand out in the public eye. This is a great way to qualify and generate solid leads for your business.